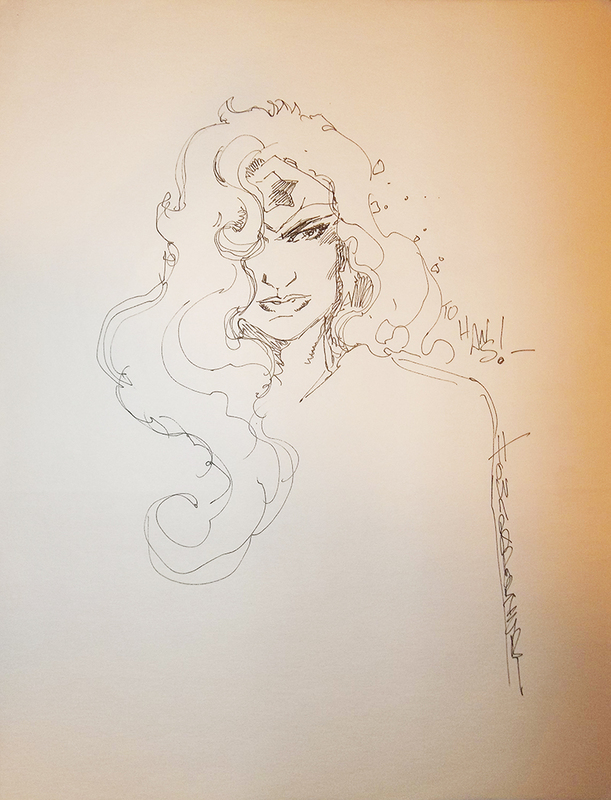 Yet another special piece in my original artwork collection: a sketch of Wonder Woman by Howard Porter, who, together with Grant Morrison and John Dell, helped usher in the extremely popular Modern Age revival of the JLA in 1997. 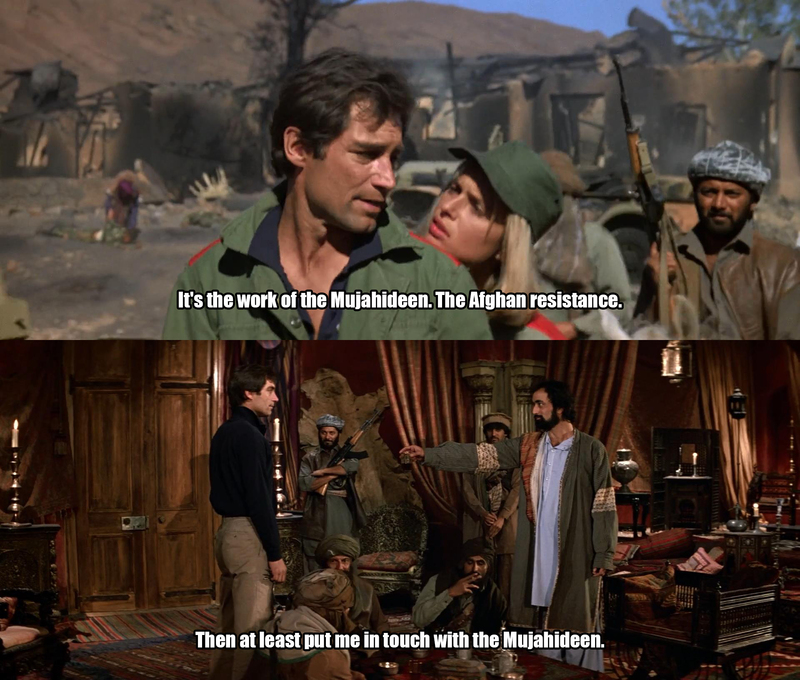 Those really awkward-in-hindsight moments when you watch The Living Daylights (1987) and realize that James Bond is enlisting the aid of the Taliban-to-be, the Mujahideen. 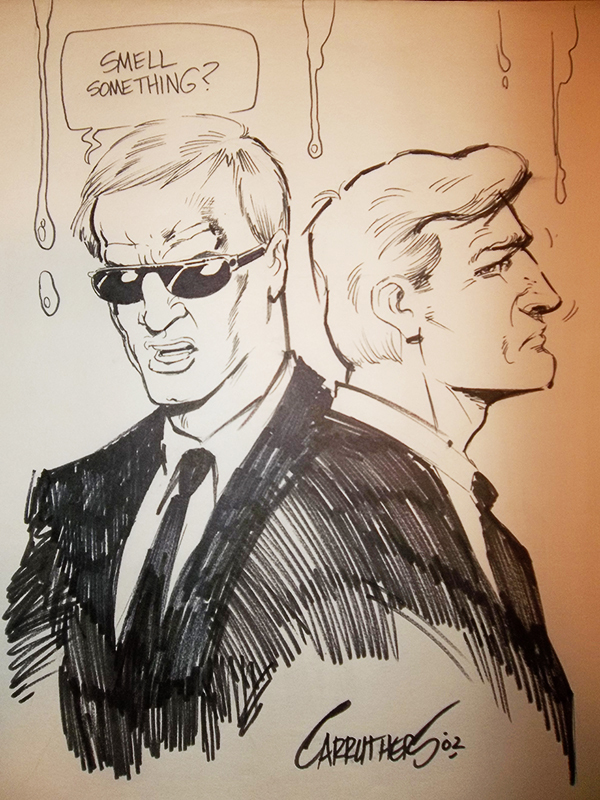 Good luck fitting this into your floating timeline, Bond fans. Blood. Mood swings. Irritability. A sudden increase in unwanted body hair. 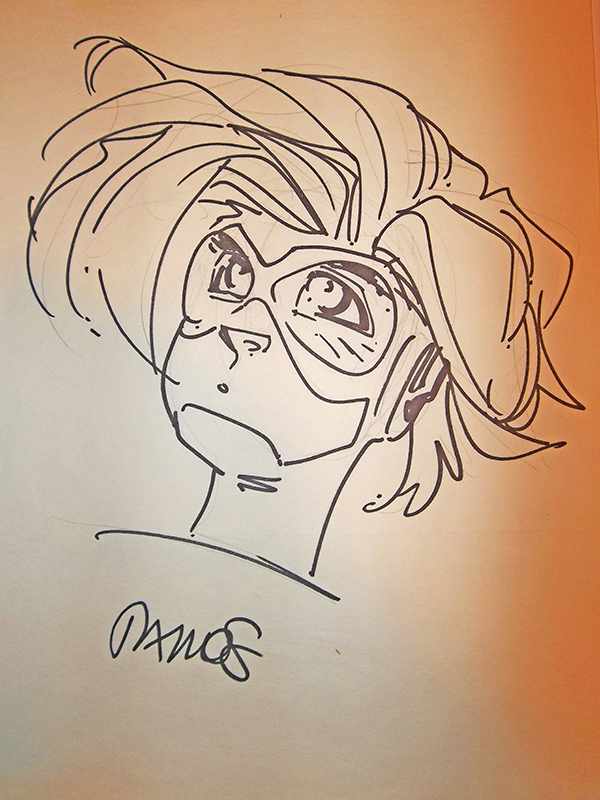 Wait…what were we talking about again? So wait…are you saying that lycanthropy is male PMS? 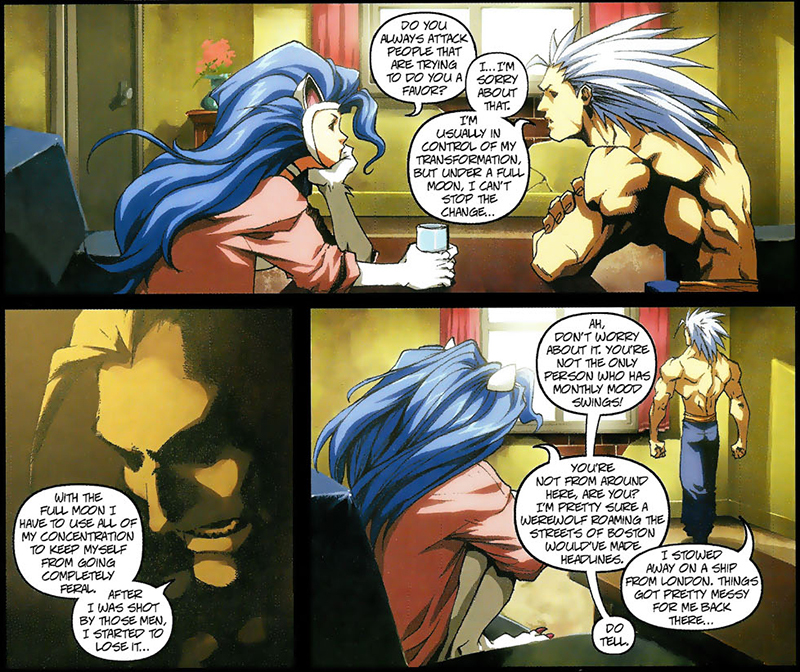 Today’s hilariously inappropriate comparison has been brought to you by Darkstalkers #3 (January 2005) by Ken Sio-Chong, Kevin Lau, Alvin Lee, Scott Hepburn, and Joe Madureira. Don’t. Mock. The Joker’s. Ride. 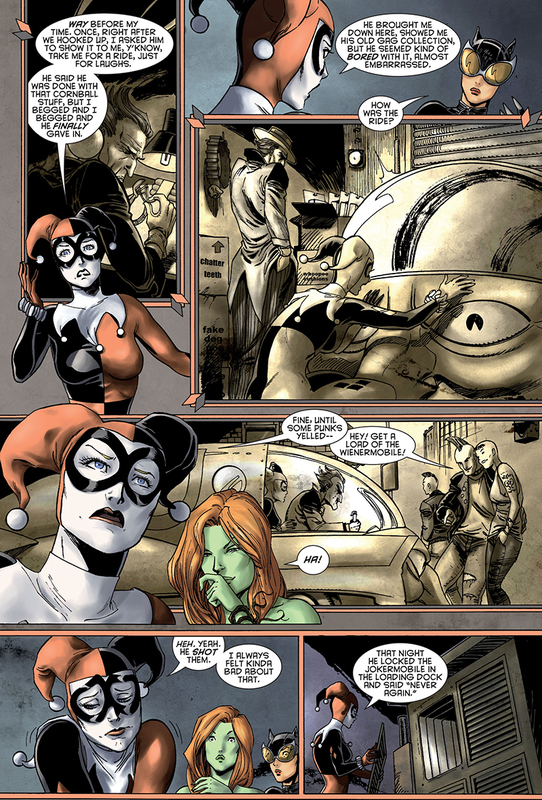 This unfortunate traffic accident has been brought to you by Gotham City Sirens #5 (December 2009) by Paul Dini and Guillem March. Who knew it was even possible for a meal to look worse entering the body than exiting it? Well, she’s dedicated, I’ll give her that. Either that or suicidal. This literal attempt to swallow a bitter pill comes to you courtesy of Daily Life With Monster Girls (モンスター娘のいる日常/Monsutaa Musume no Iru Nichijou) – Volume 6 (September 13, 2014) by Okayado.